I'm a fan of the slow food movement. I love to cook and I love to eat. Life moves at such a breakneck pace that finding the time to enjoy a meal, truly enjoy a meal, often proves difficult. The slow food movement was founded "to prevent the disappearance of local food cultures and traditions, counteract the rise of fast life and combat people’s dwindling interest in the food they eat, where it comes from and how our food choices affect the world around us." Thus there's more to the movement than just eating slowly or avoiding fast food. Convivia (local Slow Food chapters) organize events ranging from dinners and tastings, visits to local producers and farms, and more. They encourage people to "shake the hand that feeds you", and while this isn't always possible, it is something we should strive to do more often. Springbank distillery applies this type of philosophy to whisky-making. They offer a 5 day "whisky school" program wherein students truly get immersed in every aspect of the process. As we are the only Scottish distillery to undertake 100% of whisky production on one site, you’ll participate in each and every step of the process, being hands on in everything from floor malting and distilling, to filling casks and bottling the finished product. There truly is no better experience for whisky lovers who are keen to learn the process of making Scotland’s famous liquid. Now the more cynical among us may raise an eyebrow at spending £1200 (approx. $2080 CAD, not including airfare) to work FOR a company but the experience would be, in my opinion, worthwhile. 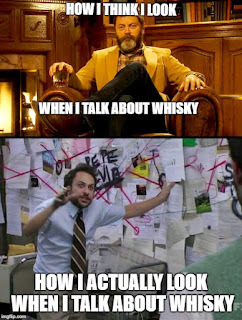 I can't be the only one who thinks this way, as the "whisky school" sells out every summer (May through July). 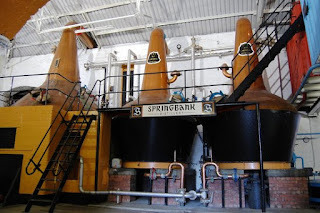 I've confessed my love for Springbank before. In this review of their 10 Year Old Single Malt, I praised Springbank for doing things the "right way". 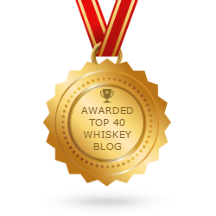 I enjoyed Springbank 10 so much that I awarded it my "Single Malt of the Year: Age Stated" in my first annual Totally Subjective Whisky Awards. Their 12 Year Old Cask Strength offering varies from batch to batch. 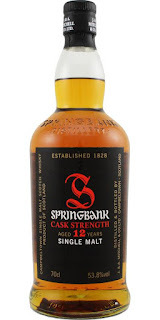 The ABV percentage is always different, the mix of first fill and refill sherry hogsheads (a hogshead holds approximately 245 liters) used to mature the whisky varies, but the character of Springbank 12 Year Old Cask Strength seems to remain somewhat consistent. Not identical, but similar. Doing things the old fashioned way means variation. The bigger, more modern producers (like The Macallan or The Glenlivet) can offer consistency, and they do it exceptionally well. Springbank offers something different. Not necessarily better or worse, just different. This sample of Springbank 12 Year Old Cask Strength is from Batch 11, and it was provided by a friend. It is bottled at 53.8 % ABV, was opened September 4, 2017, and was 3/4 full when the sample was poured November 13, 2017. It goes to eleven! Batch 11. Nose (undiluted): iodine, vegetal peat (no smoke though), a briny mineral note like sea-sprayed rocks, damp wood and dusty hay, reminiscent of an old barn (in a very pleasant way), raisins, some milk chocolate, orange peels. This is a complex nose that develops over time. After 15 minutes in the glass, there's a distinctive salted caramel aroma emerging. Palate (undiluted): rich, oily arrival, full-bodied, spicy white pepper, fresh ginger, oranges and apricots, strong oaky barrel notes (cloves, pepper, barrel char) near the end. With water the chalky, mineral note comes right forward on the nose, followed by a big wave of salted caramel. The longer this sits in the glass, the more the salted caramel takes over, and it's not at all unpleasant. The old barn notes are pushed back, almost imperceptible, as the raisins and orange peels rush forward. It's still good, but a bit of a disappointment to lose those old barn notes.On the palate, the oiliness is diminished with water; it feels a bit waxy, and the whisky's fruity notes again take centre stage. The smoke on the finish is slightly subdued, the chalkiness remains as some milk chocolate notes appear before ending on a sweet, pleasant cereal note. Later, there's a lingering fruity, green apple note with just a hint of cloves. Springbank 12 is very good with water, but I prefer this one at full strength. This whisky is complex. It develops with time. Springbank 12 is not a casual sipper; it's more like a terrific three course meal. I spent well over an hour with this single sample.I was a bit disappointed that the iodine, peat, and old barn notes more or less disappeared with the addition of water, so I wouldn't add any next time. That said, I would NOT hesitate to purchase a bottle of this whisky. Highly recommended.